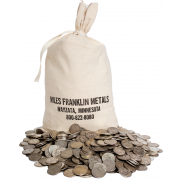 At the Miles Franklin Blog and Newsletter, our goal is to educate of the real state of the global economy; and subsequently, why Precious Metals should preserve one’s wealth throughout the upcoming, global currency collapse. The topics we discuss cover the entire gamut – from macroeconomics, to relevant political issues, to personal anecdotal data. And of course, the illicit – and at times, explicit – suppression of gold and silver prices ongoing ever since Robert Rubin launched the ambiguous “strong dollar policy,” circa 1998. Between David Schectman, Bill Holter, and myself, there’s no topic you won’t receive an intelligent, thought-provoking analysis of; and whether you believe it or not, is entirely up to the level of due diligence you choose to perform. On most days, I write of “big picture” topics – such as yesterday, when I discussed the farce that was this weekend’s “budget deal”; which essentially, was the one of the most blatantly irresponsible Congressional acts of our time – which is saying a lot. And if you want a second opinion on the topic, listen to this clip from David Stockman, Director of the Office of Management and Budget during the Reagan Administration. For over a decade, the Miles Franklin newsletter has called your attention to the manipulation of gold and silver. We bought into the GATA thesis that precious metals are manipulated by a gold Cartel, composed of several prominent bullion banks, the PPT and the Federal Reserve. We all have worked tirelessly to expose the workings of the gold Cartel, pointing out not just “why” they do it, but “when” they do it and “how” they do it. You know how I feel about this; each day is worse than the last. What we have experienced since dollar-priced gold and silver reached new all-time highs in 2011 is an outrage. David, Bill and I do our best to help you navigate through this minefield. Humbly, we believe we do it as well, if not better than anyone. Our job description could easily be changed to “hand holding.” Not because people don’t understand what’s occurring, but because frustration levels reach such heights, people feel the need to “steel” themselves. GATA, Jim Sinclair and Richard Russell were our role models. At the Miles Franklin Blog, we vow to empower you with every last ounce of our beings; as we are not only confident in being right, but right for the right reasons – and thus, believe strongly that our readership will be protected from what’s coming. By the way, we have stated our fears of money printing, economic decline, and draconian government response since the turn of the century; and frankly, even our worst fears have been surpassed – and then some! This month, we learned some startling new things, which only fortify our views further. In fact, as I write, the COMEX is on the verge of having its last few hundred thousand ounces of gold drained; whilst China reported its second largest monthly imports ever in October, and the PBOC announced it will no longer acquire foreign currency reserves. Meanwhile, the Indian black market has become so powerful, physical gold premiums have surged to record levels, above 20%. In fact, India’s maniacal, gold-attacking administration suffered dramatic losses in last week’s regional elections; yielding an increased likelihood they will be run out of town in next May’s general election. 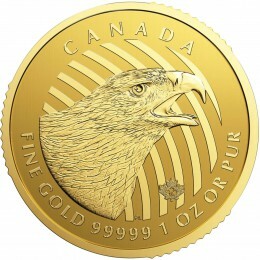 Essentially everywhere but the United States, physical demand will set annual records; and even the U.S. Mint’s Silver Eagle sales have set a new annual record – already; which is quite a statement, given how weak U.S. demand has been. In my mind, there is not a doubt those Eagles were gobbled up by the Chinese, Indians, and other foreigners; again, serving a loud, blaring signal as to what’s really going on. This week, we actually started encouragingly – with gold and silver rising Monday and Tuesday, following rare “key upside reversals” after Friday’s farce of an NFP report. True, prices were capped in typically fashion on all three days – at the same times of day, with the same algorithms as usual. However, clearly TPTB are attempting to enforce what I deemed earlier this year the “New York Gold Pool.” In other words, for reasons we do not yet know, they continue to hold prices down in the same manner that the “London Gold Pool” attempted for seven years – before collapsing in 1968, yielding a 2,400% price surge over the ensuing decade. This is why the utterly ridiculous PM attacks were launched this morning – as usual, at 2:15 AM EST (for the 133rd time in the past 147 days), via a prototypical “Cartel Herald” algorithm. Note that these vicious raids occurred with nothing going on anywhere else; as oil and copper were (and still are) slightly higher, Dow futures flat, and the dollar unchanged at multi-month lows – and that, despite the hyper-inflating Yen achieving a new, multi-year low. Moreover, the day’s only material news – at 8:30 AM EST, long after the PM damage was done – depicted a surge in jobless claims from 300,000 last week to 368,000 this week; not only debunking the silly notion of a recovering labor market, but yielding further proof that government employment data is essentially worthless. Truth be told, such suppression has been going on for nearly 15 years; but I’m focused more on what’s occurred since Global Meltdown I, just five years ago. Clearly, the global economy – and with it, its dying fiat currencies – are on the precipice; and thus, TPTB have deemed it necessary to not only squelch all attempts at upside PM momentum, but hold them below their respective costs of production. Calls for $1,050 gold by Cartel leaders like Goldman Sachs should be taken with a grain of salt; as not only are they trying to scare you into selling, but actively taking the opposite side of the trade. In other words, the unprecedented build up in “commercial” long positions on the COMEX should be watched as carefully as the dwindling registered inventory. If gold ever fell to $1,050/oz., the already dying mining industry would be dead and buried; and thus, supply shortages would not only be likely, but guaranteed. 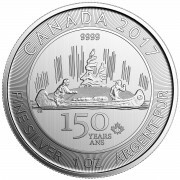 Not to mention, silver prices significantly below $20/oz. ; as even major producers admit to all-in costs ranging from $22/oz. to $30/oz. Even more comical is the fact that monetary properties aside, silver is the second most widely used commodity on the planet; and thus, if we really did have a significant economic “recovery,” silver would be in extremely high demand. Investment demand is what has ultimately driven its price from $4/oz. in the late 90s to its current levels; but industrial usage still accounts for roughly three-quarters of annual consumption. The great PM analyst Steve St. Angelo claims silver production has already stopped rising; and pretty soon, I expect significant, shortage-creating declines. None of us are happy about price declines, under the guise of “another buying opportunity.” After 12 years of “buying opportunities,” personally, I’m ready for the world to move on. The fact remains that the end game is inevitable; and thus, the more TPTB distort reality with money printing, market manipulation, and propaganda, the more long-term damage they will cause. We are talking about billions of people’s fates at stake; and thus, I’d like to get it over with already. However, in the meantime, I will continue to purchase physical gold and silver with the free cash I come across. I’d estimate my holdings have increased by a good 10% in 2013 alone (by number of ounces); and if the “New York Gold Pool” holds together in 2014 – which I would be shocked to see – I’ll likely add another 10%. Finally, I want to highlight this article, published today in the Wall Street Journal; of how Eric Sprott has dropped more than 50% this year in what will likely be the third consecutive year of double-digit percentage losses. Redemptions and weak performance have pushed down hedge-fund assets managed to about $350 million from nearly $3 billion in 2008. Many precious-metal bulls have been hurt this year as low inflation and rising financial markets reduced demand for havens. Aside from the significant capital he has invested and not only that, but he and his right hand man, John Embry, are among the best people I know. Years ago I dubbed him “Admiral Sprott” for his global leadership. 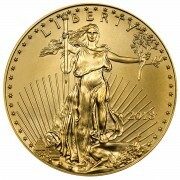 We have written tirelessly about the safety of physical, in your possession gold and silver. We have written about your need to play “financial defense,” and be aware of the volatile and speculative nature of “paper” gold and silver, be it the ETFs or mining shares. Long ago, I stopped thinking of the “profits” I could make in the PM sector – in lieu of the safety of holding the only assets to survive the long, sorry history of fiat currency regimes. And hopefully, the more you see of the true state of the global financial and economic condition, the more likely you are to “see the light” as well. Thanks Andrew for your tireless reporting. I know it must get old at times, but there are many ‘out here’ who are staying the course, and appreciate your resilience. Andy, I think you miss your old nick name. I say that only because of my eyesight. I like to read every word of what I choose to read but because of my eyesight it takes me forever to read all of your lengthy articles. It is all very good information and I don’t want to miss any of it. I hope that some days you would only release some of what you write and then maybe release the remainder on the week ends. That way I for one would be able to get it all by the end of the week and not miss what you have on your mind. I could save each day and and then go back and finish but I don’t seem to do that because of so much information coming in all the time. Thanks for all of your teaching. I’ll never stop ranting, that’s for sure. As for my content, I’m down to a max of five pages/day – versus up to 50+ in the past! In process of taking early Ira withdrawal to pay off mortgage. Thought it was going to be hard to stomach with the penalty and taxes but the truth is I feel good about it. A good 35% of that money is theirs from deferred taxes so it’s not really mine and the penalty is the price you pay having the government as your retirement partner, a partner that had not kept its promise of fiscal responsibility. I don’t trust them anymore and this is my divorce from them. Why would anyone be partners with a broke insolvent entity that does not have your best interest mind? Four years ago, I did the same thing – plus the 10% penalty – and used the proceeds to buy PHYSICAL PMs. Best decision I ever made, and I was thrilled to pay those “blood money” taxes. Actually, given that tax rates will only go higher over time, the longer one waits, the more they will pay to get out – that is, if the IRA isn’t confiscated first. And yes, 98% are either brainwashed – or too poor to protect themselves if they wanted to. Normalcy bias is a very powerful tool – until it isn’t. P.S. And if you do consider using some of the those proceeds to purchase REAL MONEY, Miles Franklin would love the chance to earn your business!